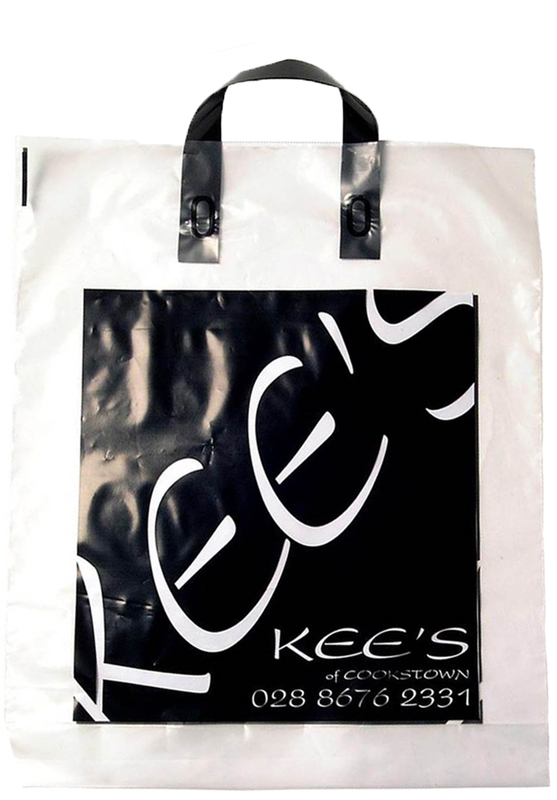 Often referred to as the ‘Bag for Life’, flexi-loop carrier bags are strong and versatile. The top of the bag is turned over to help create a super strong base for the flei-loop handles. 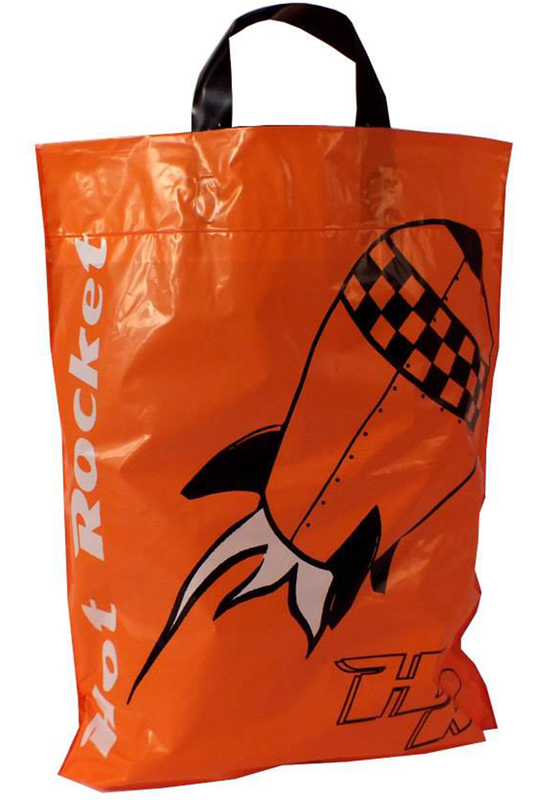 These internal handle allow the carrier bag to be used to its full capacity. It is considered superior to the standard patch handle for both its added strength and environmentally friendly connotation. Our most popular size is 380 (w) x 457 (h) x 75 (bottom gusset) mm (15x18x3″). 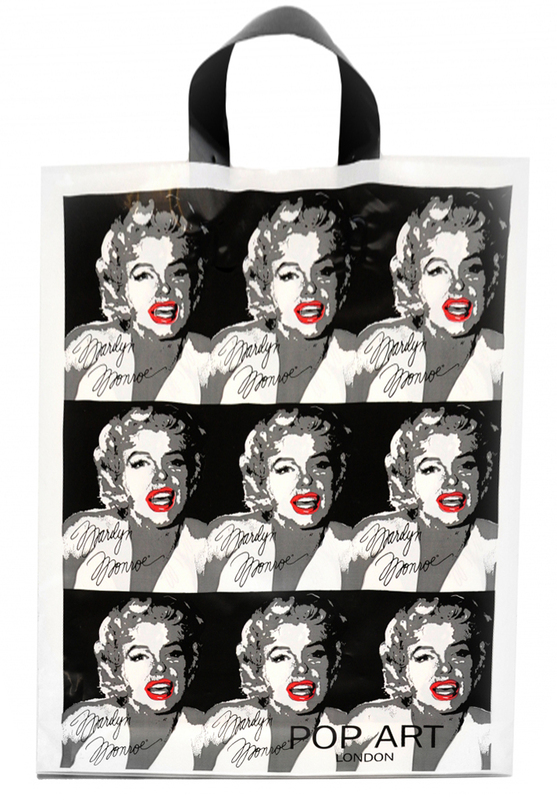 Sizes can range from 305 to 610 (12” to 22”) wide x 305 to 610 (12” to 22”) deep. Contact us to discuss your specific size and strength requirements. 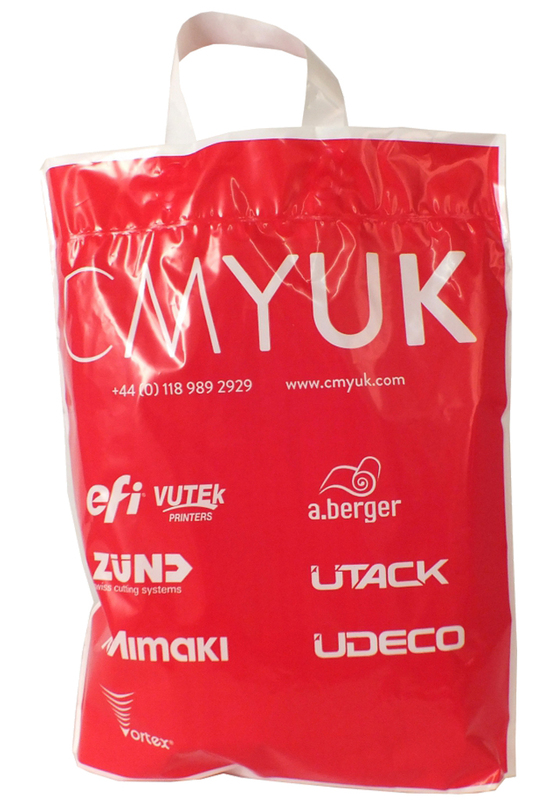 Our Printed Bags for Life with flexi-loop handles are available in a range of film colours including white, clear, frosty and coloured (subject to stock). If we don’t have a specific film colour in stock we can flood print them to any colour. Spot printing with up to 6 pantone colours and up to 100% ink coverage. Comes with white loops as standard. Coloured loops are available on request and subject to stock. Express delivery services are also available for a small additional charge. MDPE Frosty 50mu also available.